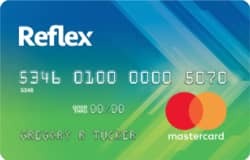 The Reflex MasterCard is a credit card for those with poor credit from Continental Finance and it is quite similar to their other cards in that you can either be approved for an unsecured or secured version. There are a few fees that you should be aware of before you think about getting this card. Annual Fee - $125 for first year. Then $96 from the second year onwards. Monthly Maintenance Fee - None for the first year. Then $10 a month (for a total of $120 a year). Credit Limit Increase - According to the terms and conditions, your account will be reviewed for a potential credit limit increase after twelve months. The maximum limit that you could ever get on this card is $2,000. Another very important thing to take note of this card is that if your credit is bad, then you will need to put down a security deposit for get your credit limit. According to their terms and conditions, your credit limit will not be the full amount of deposit initially. It is only after three timely payments that your credit limit will be increased to the amount that you deposit. However, I suspect that (unlike other Continental Finance cards), you will either be asked to put a $50, $150 or $500 deposit to get a $500 initial credit limit. This will make this either a partially or fully secured credit card. Their terms and conditions say that you will not receive any interest on your deposit and you can put up to a maximum of $2,000 as the security deposit. Another thing to note is that there is usually a 7 day hold on your deposit initially. The Reflex MasterCard is issued by Continental Finance. When you compare the fees of this card to their other cards like the Verve, Surge etc, you quickly realize that the fees and rates are the same. Since this card could either be an unsecured credit card or a secured credit card, we have to compare it to both types of cards. As an unsecured card, the fees and rates are high compared to the better cards out there. For example, Credit One charges only an annual fee between $0 and $99. They do not charge any monthly maintenance fee at all. Other cards like Milestone and Indigo also only charge and an annual fee and have no monthly maintenance fee. If you have to put down a deposit, then this card would be essentially a secured card. And from a secured credit card perspective, this would be a very expensive one. While most secured cards have an annual fee that ranges from $0 to $50, you would be be paying $125 annual fee in the first year and $96 + $120 (monthly maintenance fee) = $216 in fees from the second year onwards. The Reflex MasterCard is typical of recent cards that Continental Finance has issued and marketed. From a fee perspective, it is very high compared to other sub-prime cards because they charge a monthly maintenance fee. The APR is also very high compared to it's peers. The fees become even more ridiculous if you are asked to put up a deposit (which effectively makes this a secured credit card). If you have bad credit, you might be tempted at this card. However, I would urge you to consider either a low annual fee secured card or other unsecured card with much lower fees and rates. You will end up saving a bundle just on fees alone. For example, the Opensky secured card does not do any credit check and only has a $35 annual fee. The Credit One card only charges an annual fee that ranges from $0 to $99 and they do not charge any monthly maintenance fees. These are much better alternatives.